George Stewart Neff, 81, of Traverse City, passed away on Sunday, December 10, 2017, surrounded by his family. Born in 1936 in Memphis, TN, he was adopted as an infant by the late Stewart and Elizabeth Neff. George graduated from Christ School in Arden, NC in 1954, and went on to college at the University of Tennessee. George also served our country honorably as a member of the United States Army. On April 20, 1963, in Lyons, IL, he married the former Laurie Ann Baronti, who survives. George and Laurie lived in Riverside, IL for many years while George worked for PPG Industries in Chicago. In 1977, George and family moved to Traverse City, into their fixer-upper dream home on Washington Street. George was quite the entrepreneur, starting with Neff’s Cleaning Service, and followed by many restaurants, including the Turn Around Cafe, Hot ’n Now, Dadz Chicken, and the Steakout Grill. 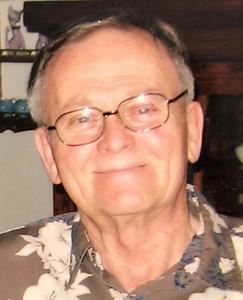 Along with Laurie, his loving wife of 54 years, George is survived by his daughters, Trisha Neff (Bob Ward) and Tracey Gabel; and his three grandchildren, Cole, Natalie, and Madalyn Gabel. He is also survived by his sister, Mary Stewart Hall, and brother-in-law, Bill Baronti. George will always be remembered for his sense of humor, his compassion, and his love of family. He was a good friend to many, who will all miss him dearly. Later in life, his trademark upbeat spirit helped him deal with his many health challenges. The family would like to especially thank George’s in-home health care givers, Nina, Scott, and Amanda, along with the caring nurses and doctors at Munson’s Webber Heart Center. The family is being served by Life Story Funeral Home; please visit www.lifestorytc.com to sign the guest book and share your memories. Per George’s request, there will be no services and cremation has taken place. Memorials may be made in George’s name to: Christ School, 500 Christ School Road, Arden, NC 28704 - www.christschool.org.